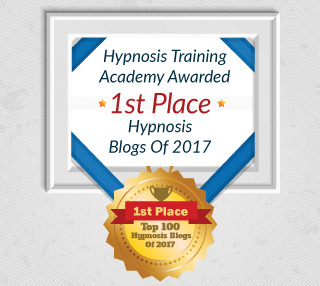 HTA: You’re a professional hypnotist and trainer, in addition to a NLP master practitioner and author of five books on both of these subject matters. What initially sparked your interest in hypnosis and took you down this successful career path? When I went off to university I was very fortunate that our library happened to have an extensive hypnosis collection filled with the works of Erickson, Bandler and others. I consumed anything and everything I could get my hands on at that time, including video trainings and classic recordings from the hypnosis masters. Fast forward a few years and I was working on a Ph.D. and found that I needed something beyond academics in my life so I decided to more seriously pursue my interest in hypnosis. It was at that point that I became a consulting hypnotist and began seeing clients while continuing to train and learn. During that time I had become a hypnosis and NLP trainer. Most importantly I met my business partners and very close friends Shawn and Sarah Carson. 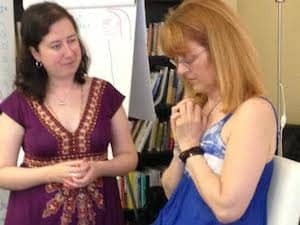 We co-train together and run a number of courses ranging from the traditional hypnosis and NLP courses (practitioner and master practitioner) to our own advanced trainings including Deep Trance Identification and Tree of Life Coaching. 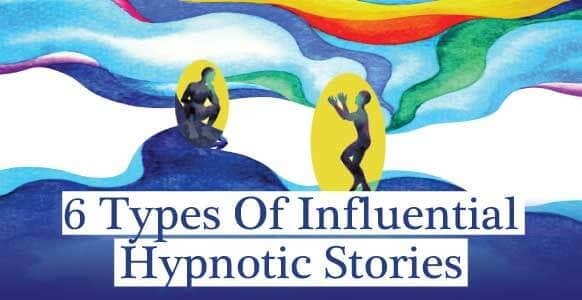 In 2013, we launched our own publishing house and since then have published 7 books in the fields of hypnosis and NLP, 5 of which I have been a co-author. 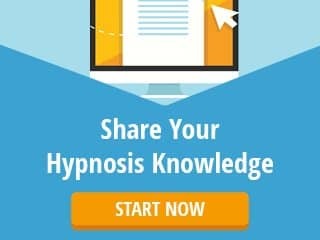 HTA: What’s been the greatest and most reassuring discovery you’ve made about the power of hypnosis that’s fueled your confidence to pursue it as a career? Jess: The greatest discovery that has changed my professional life is what neuroscience has to offer to our field. When I work with private clients I teach them some basics about their brain such as Working Memory and Hebb’s Law. This creates a tremendous magic moment during the session. When a client discovers that they can in fact rewire their brain and begin to use their own thoughts to feel better, they light up. After all, who doesn’t like learning something awesome about themselves! This also has the added bonus that it indirectly places the responsibility for the change in the client’s hands. We bring every tool we have to the session and the client must become responsible for their mind. In the training room we ensure that our students also understand the neuroscience behind what we’re doing. This is true whether we are teaching basic anchoring or something as big as attention shifting coaching. When our students go out into the world and start seeing clients they can be confident that they are working with the client’s brain processes and what they are doing will have a positive effect. For myself, when I learned the neuroscience behind change work and teaching, my confidence shot through the roof and at that point I was already an accomplished hypnotist. So you can imagine what it does for the confidence of new hypnotists. HTA: What’s your favorite niche when it comes to hypnosis? And has this evolved or changed throughout your career? Jess: Clients will come in with one of 4 possible problems. They are either feeling something or doing something they do not want. This is where we tend to focus on therapeutic change. 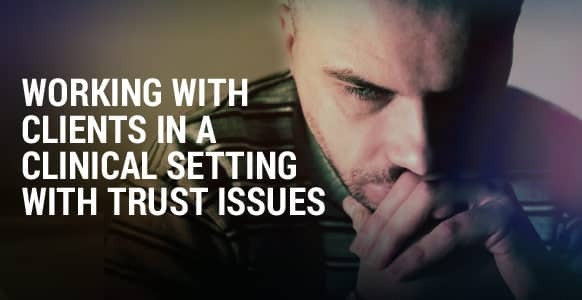 These types of clients are the ones with negative habits like smoking or nail biting, or feelings such as fear of public speaking or depression. The other two types of problems are those who either want to feel or do something they were not experiencing in the past. These are generative coaching issues and can include things like peak performance and goal achievement. I much prefer to work with clients on the generative side of hypnosis. They tend to be more long-term clients so you really get to track success and build a highly generative coaching relationship. Plus, you still get to do some work on the therapy side with them, however, their focus is much more strongly on positive outcomes – and this really gels with my own personality. Being a hypnotist does mean though that you will get lots of clients interested in therapy side of things. From these clients, my favorite group to work with is smokers who are trying to quit. A lot of experienced hypnotists may scoff at working with smokers as if it’s not really a test of their skill, and it may not be, but that doesn’t make the work any less important. In the U.S. alone, 1 in 5 deaths are due to smoking-related causes. At the end of the day though, my passion is training. I find it deeply rewarding to teach hypnotists and coaches how to change their clients’ lives, not to mention their own lives. In particular, I enjoy teaching new things. We are constantly developing new approaches and I like to share those with students. I find teaching a course that has never been done before puts me on the edge of my map and it a wonderful opportunity to grow. Teaching groups also creates a unique environment where powerful changes can happen for attendees. People come to courses consciously because they believe they want skills. They come to courses unconsciously because they want to experience transformation. The group dynamic creates a special situation in which a large number of people can experience that transformation. From the perspective of the trainer, we can also do a lot of things with groups that could possibly be more challenging one on one. Leading trainings is fun and is a time for generative change work both for the attendees as well as the trainer. HTA: Throughout your years of professional hypnosis experience, what’s been the most rewarding or inspiring case where you’ve helped a subject make major transformations in their life? Jess: It’s really difficult to choose one as being the most inspirational. I have had the privilege of working with a large number of wonderful clients who have taught me a great deal about the work we do. If I had to narrow it down at this moment the one that sticks out occurred during a training I was running a few years ago. During one of the exercises a student lost touch with reality and was thrown back into a memory of being abused in an orphanage in Eastern Europe as a child. Within the five seconds it took me to get to him at the back of the room, he was having a full-blown abreaction. He was that child again. So I first spent some time with him getting him to dissociate from the memory, and then to fully reorient to the present moment. As I did this, I had him do something silly, something that would make him laugh. Of course he did and he was back to his correct age and smiling. I was happy to have helped him pack whatever that was back up, and I gave him a few hypnotic suggestions about healing in the right time and in a slower more appropriate way. I didn’t really think a whole lot about it beyond that moment. A few days later, the student pulled me aside and told me that they didn’t know what happened but everything had changed and it was because of the work we had done together. He said for the first time ever he was free as a tear trickled down his face. In that, moment my only focus was to get the student back in touch with reality. And yet his unconscious mind took that and used it to generate massive positive changes for him. Something that seemed so small at the time had been so powerful for him. As my teacher and friend John Overdurf says, “You never know just how far a change will go”. HTA: You were one of the trainers at Igor’s and HTA’s Conversational Hypnosis Professional Hypnotherapy Certification Training courses, which took place earlier this year around all the world. What was it like helping so many aspiring hypnotists get certified? Jess: First allow me to take a moment to thank Igor, Cliff, Megan, and the Hypnosis Training Academy for making this opportunity available. As with any training we do, it’s always such a pleasure to work with passionate students. For me it’s not so much about helping hypnotists get certified, that’s a conscious mind activity. It’s far more about helping people experience lasting and powerful transformations. 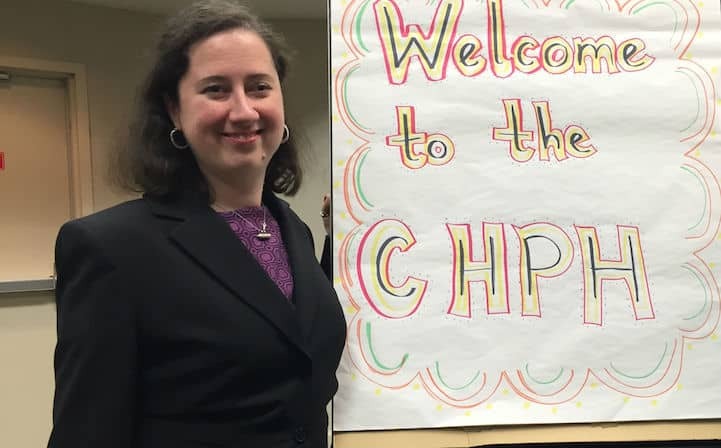 In the course we ran for HTA in January, we had quite a range of students, some had never officially hypnotized anyone before, others were seasoned hypnotists, and still others were therapists in other modalities looking to grow their abilities. All of these different groups walked away with a new way of understanding themselves and others. And on an individual level, we could see the positive changes taking place for people. HTA: What sparked your interest to start writing books on hypnosis, and do you have anymore in the pipeline? Jess: This actually started one cold winter evening back in 2012. It had been a long teaching day and I was enjoying a quiet dinner with Shawn and Sarah. We were discussing books on NLP and how many people created general books on the topic, but that there wasn’t really anything that explored the processes in a more in depth way. We decided that we would do it so we started the NLP Mastery Series. Interestingly enough, our first book was not in the series but it was soon to follow. Since 2013, we have published 7 books. I find writing to be a wonderful way of exploring what we do on a deeper level as well as of reaching a broader audience with our original content. 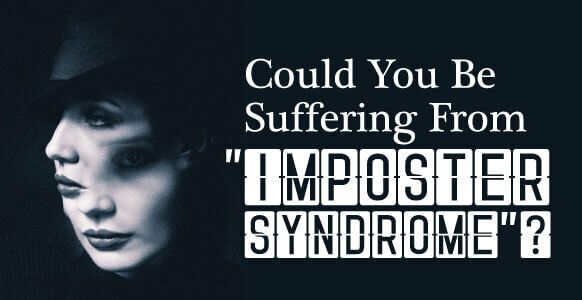 The fields of NLP and hypnosis in many ways have stagnated over the years. There are only a small number of people creating new techniques and really pushing the limits of what is believed to be possible. I am happy to be a part of that group. We currently have a number of books in the pipeline. The next book out will probably be our Deep Trance Identification Manual, which is a companion to our recent book, “Deep Trance Identification: Unconscious Modeling and Mastery for Hypnosis Practitioners, Coaches and Everyday People”. I am currently working on a presentation skills book, which will be in the business niche. 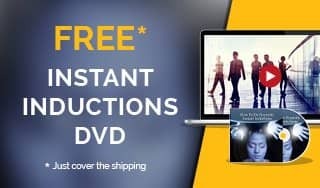 Shawn and Sarah will also be launching the next NLP Mastery book, which is on the BEAT Pattern (a technique they developed). Beyond that, there are at last count at least 10 books in various stages of completion. We like to keep busy! HTA: If you had one piece of advice for any hypnotists out there who are thinking of turning their interest in hypnosis into a full-time career, what would it be? Jess: Learn how to run a business and start running it before leaving your current job. At first you will spend 80-90% of your time working on your business, and only 10-20% of the time actually working with clients. The more you can learn about running a business the better. I know that a lot of people get into hypnosis because they want to help people, which is very noble. But these same people may be reluctant to see themselves as business people. What they don’t realize is that to help the most people, you need to have a business mind. Otherwise you won’t attract clients, or the right kind of clients. Don’t rush this either. Start with small things, dedicate a specific amount of time each week to your business, and set and achieve goals that move you closer to your overall business goal. Have a clear vision of what you want your business to be; this will tell your unconscious and conscious mind which direction to move in. HTA: And finally, what’s the best thing about being a professional hypnotist? Jess: For me the best thing is that it matches my values. As a professional hypnotist I get to have the freedom that having a business gives. It’s also tremendously fun and rewarding when students and clients change their lives. Most importantly, this work is a part of my own spiritual path through this world. It gives meaning, direction and has enriched my life far beyond anything I could have imagined possible years ago when I first began.